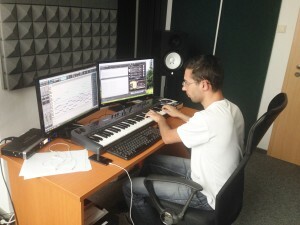 Hristo is replacing a whole orchestra without leaving his desk. 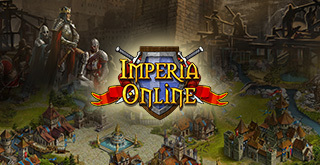 The beautiful melodies of Imperia Online, the funny sounds of Mad Moles, the echoing shots of Online Artillery and the inspiring music of numerous trailers are all created by only two of the 160 experts working at Imperia Online. Silvia and Hristo are the whole audio team, but they’ve proven themselves to be more than enough. Hristo is a composer, replacing a whole orchestra without leaving his desk. Silvia is the sound designer that creates even the rarest of sounds by combining seemingly random tones and noises. ‘The optimal period for creating a 3-minute musical composition is 5 days’, Hristo says. He then clarifies that if a deadline is nearing, he could complete the task in 3 days, but wouldn’t be satisfied with the result. In the meantime Silvia insists making a note: Hristo works way faster than expected by default and the 5-day period applies to him only, not the profession and industry in general. Such an information doesn’t come as a surprise: Despite being proficient at playing the piano only, the Academy of Music graduate knows perfectly well every musical instrument. This gives him the ability to create epic melodies via software that simulates the instruments needed. Hristo’s composing station in all its glory. 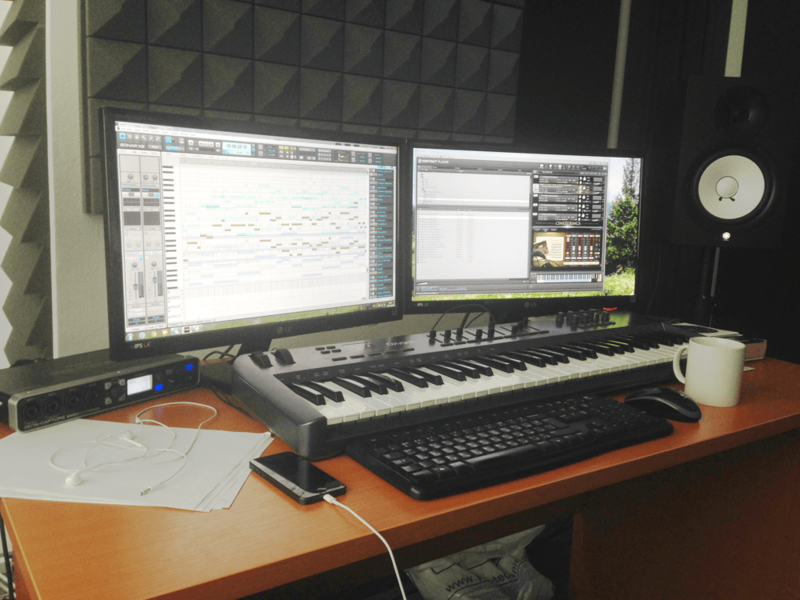 Aside from the musicians’ (and the software’s) comfort, the composer’s satisfaction is key as well. ‘Enjoying your own composition while still creating it is the best feeling’, Hristo states, adding that fortunately this is the case for him. 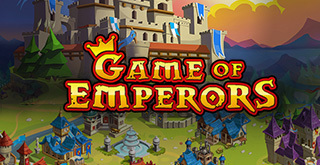 His talent is proven by the fact Imperia Online’s soundtrack is given to him to take care of without any sort of oversight by other people. ‘My freedom there is absolute. Of course, there is a minor restriction coming from the Medieval stylistics’, the composer adds. ‘I sit down and improvise for hours until something to grab on to comes up”, he says. 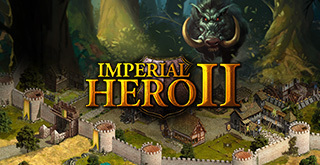 Silvia’s job is as important and as interesting as Hristo’s – she is responsible for creating all of the sound effects we can hear in each of Imperia Online’s games. Even though she doesn’t usually create the sounds from scratch by herself, her daily activities require tons of creativity. Turns out even basic effects like a click in-game usually have very trivial origins – the click from closing a pocket knife for example. The creativity doesn’t end there: in many cases the sounds are sliced and only their very beginning or end is used. This very, very small fragment is then twisted, zoomed in, shortened, inverted or what have you in order to get the required result. As far as completely new sounds go, Silvia has a very recent example: ‘We couldn’t find anything resembling smashing a pumpkin for Mad Moles, so we had to improvise – we took sounds from squishing wet clothes and smacking and combined them with a few other sounds until we got the end result: the players can now swear they’re hearing pumpkins smashing in the game’, Silvia says. Despite being a realtively small game, Mad Moles has about 100 custom made sounds already. Those tiny sounds require very complex and precise work though, especially having in mind even a relatively small game like Mad Moles has about 100 specially created sounds so far. All those sound experiments bring us to yet another intriguing aspect of Silvia’s daily life – dealing with her neighboring colleagues’ breaking point. ‘Sometimes I have to process a part of an audio file which means I put a short fragment on loop. After hearing it for more than 200 times one of the colleagues rushes in my room with a vicious expression on their face, desiring nothing but the fragment to stop repeating’, Silvia admits, guilty almost. Both her and Hristo declare they’re in love with their jobs due to never missing the silence other people crave. They can’t think of a moment when they’d prefer to not listen to music or not enjoy the variety of sounds everywhere around us. 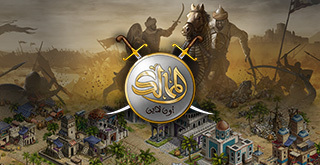 Each sound in Imperia Online’s impressive trailers is a product of Hristo and Silvia’s hard work and creativity.